During a brief appearance via video conference in Clarke County General District Court this morning, murder suspect Dale Lee Wright saw one of three charges he is facing dropped. 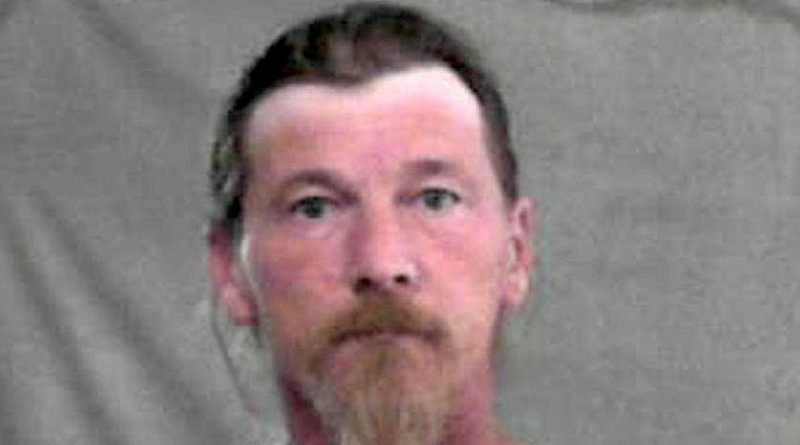 The West Virginia resident is charged in the March 17 murder of Bluemont resident Jeffrey B. Evans. According to police reports, Evans, 72, met Wright, 50, in a gravel lot on Castleman Road off Rt. 7 near the Clarke/Loudoun border on the morning of March 17 for a prearranged business transaction. During the meeting, an altercation occurred and Wright shot Evans. Evans was able to drive away, but then crashed at the intersection of Castleman Road and Rt. 7. He died at the scene. Following his arrest days after the incident, Wright was charged with three crimes—first degree murder, use of a firearm in the commission of a felony, and possession of a firearm by a convicted felon. This morning, Clarke County Assistant Commonwealth’s Attorney Cyrus Morgan said he was moving to drop prosecution of the weapon possession charge. Wright is expected back in court May 8. He remains held in jail.